A yoke is something powerful and controlling that causes suffering. To yoke people is to use your power and control over them and make them suffer. Talk about a yoke, the yoke of something, or something's yoke, as in "the yoke of an unhappy marriage" and "a small town's yoke." You can be yoked to something: "She signed a bad contract and now she's yoked to that mobile provider for three years." More happily, you can break the yoke of something, set yourself free from the yoke, etc. : "It felt amazing to break the yoke of my student debt." Things can also be yoked together: "Though atheism and agnosticism are often yoked together in public perception, they're quite different." To avoid overspending on a house, I had to consider what it would be like to live under the yoke of a tight budget, with so much of our income drained away by the house payment. It amazes me how some of my high-achieving students don't collapse under the yoke of their demanding schedules. Look away from the screen to explain the definition in your own words. 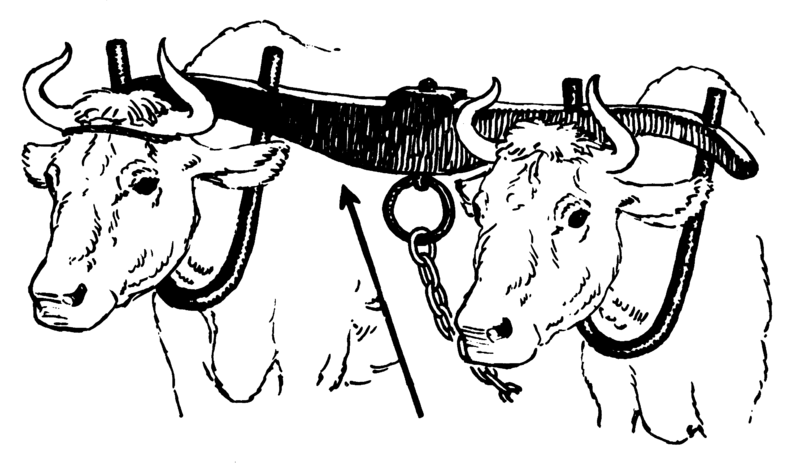 You’ll know you understand what "yoke” means when you can explain it without saying “restraint” or “tie." Think of the last time you felt powerless, and fill in the blanks: "I (finally threw off/wish I could throw off) the yoke of _____." Example: "I wish I could throw off the yoke of my sugar cravings." 2. Much of educational research points to the need to unyoke children from _____ so they can _____.